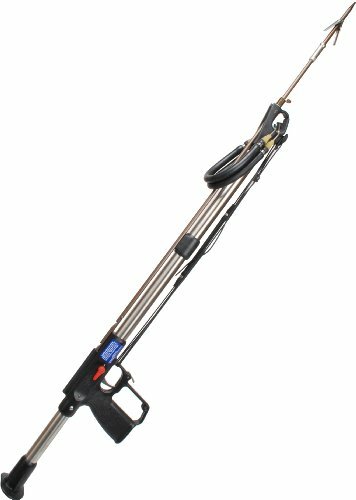 I’ve been fishing most of my life, but when it comes down to spearfishing vs line fishing, I’ll pick up my speargun almost every single time. 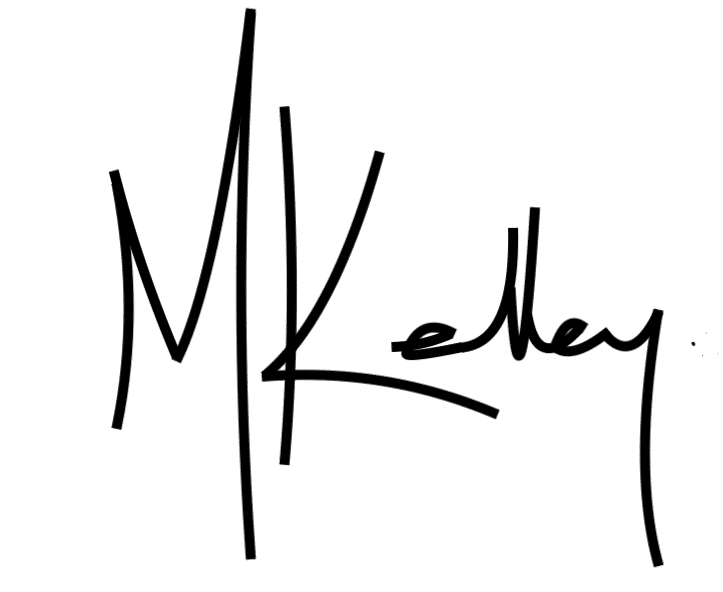 You see, my dad was a keen angler, and any chance we’d get we were out with a line from the shore, off the rocks, or taking out little runabout out around the islands just offshore. The trouble is, we didn’t catch all that much. Perhaps we just weren’t all that good at line fishing. Perhaps we didn’t have the right tools to find the right fishing spots. Perhaps it was the byproduct of a fishing industry scraping the oceans clean. 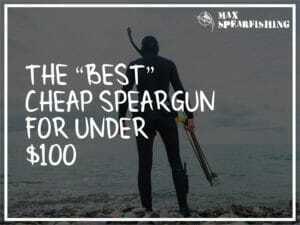 But once I started spearfishing, our catch rates went up significantly. 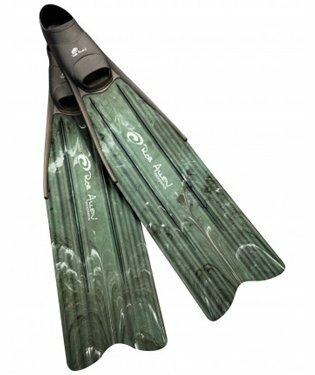 Once you start comparing spearfishing vs line fishing, there’s a few key differences. This is what my dad used to complain about. “Ahh, I guess the fish aren’t biting today.” Or we don’t have the right bait. Or we run out of bait. A thousand reasons why we weren’t able to catch the fish lurking beneath the surface. 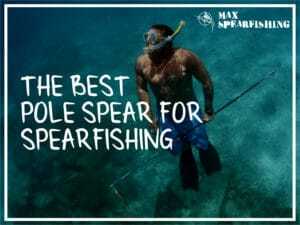 Spearfishing takes the hunt to the fish. 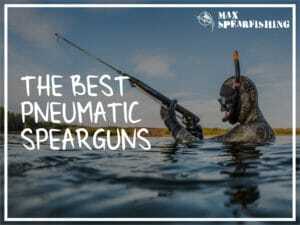 Instead of trying to get them to bite your line, you’re underwater with your speargun and sneaking up on them. 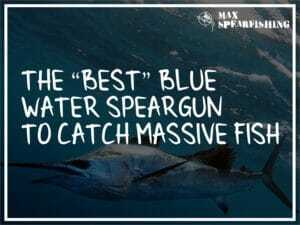 The fish don’t need to be on the bite for you to spearfish successfully, which means you’ll get more consistent catches. When line fishing you can try to target specific species with different baits, different rigging, and fishing at different depths, but it’s not an exact science. No matter what, you’ll always get bycatch. 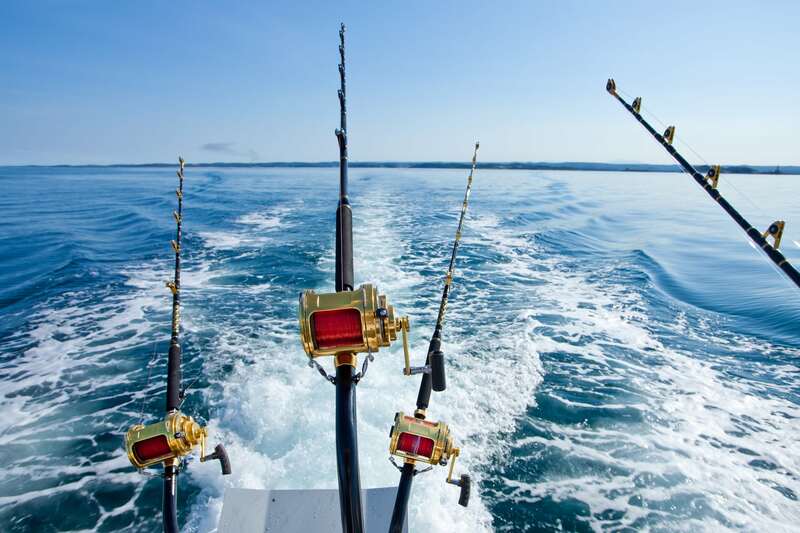 That is, you’ll reel in an under-size fish, a protected species, it’s almost impossible to choose which fish will bite. And once you’ve hauled it to the surface, taken the hooks out, and gently tossed it back, you’ve put that fish through a massive amount of stress. Sometimes they survive, sometimes they don’t. 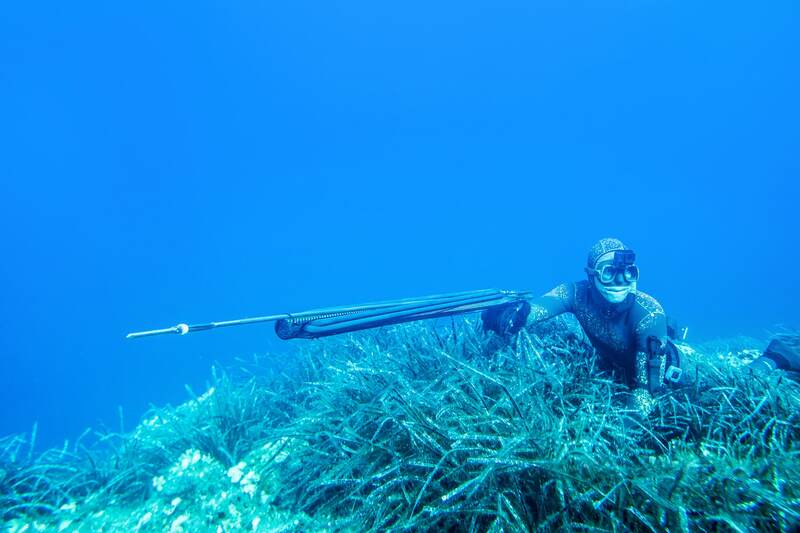 Spearfishing however has zero bycatch. You’re underwater and you can see exactly what you’re targeting. The species of fish. 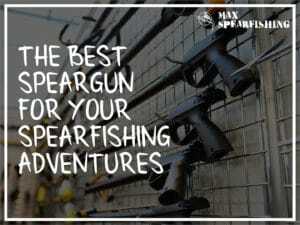 The size of the fish, and ensure that anything you shoot is both legal, and what you want to take home. 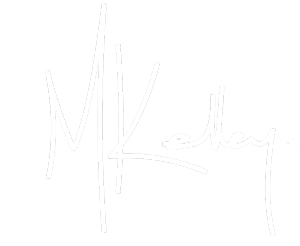 Have you ever got your lines snagged? Of course, you have. No matter how careful you are, it’s inevitable that your hooks, or the line, will get caught up underwater. 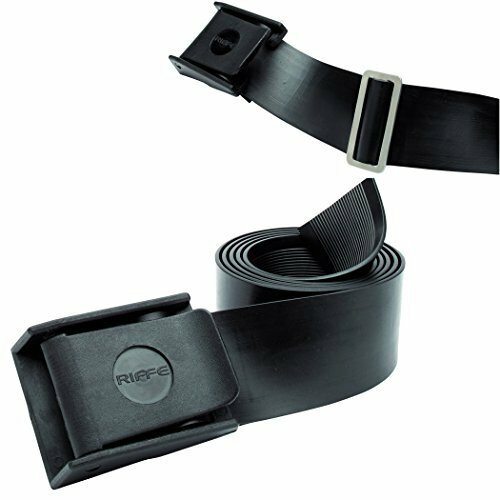 Break them off, and you’ve got to go to the trouble of rigging up again. But not only that, you’ve now left trash underwater that can potentially damage the ocean environment. Marine life like dolphins and turtles get caught up in discarded line, often with devastating results. 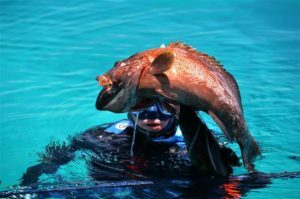 Spearfishing allows you to leave no trace. 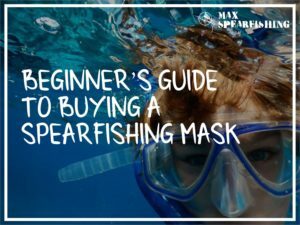 Of course, you’ll need to use a certain amount of care to avoid damaging delicate structures like corals while you’re swimming around, but if you’re careful you can spearfish without hurting the ocean we all love. I’m not saying that fishing doesn’t require a certain amount of energy, but compare two scenarios for me. Two guys sitting in a boat, drinking a few beers while drifting over the same sandbar as they fish. The other, these same two guys are in the water, drinking water to stay hydrated and swimming at least a mile or two as they explore the ocean floor. 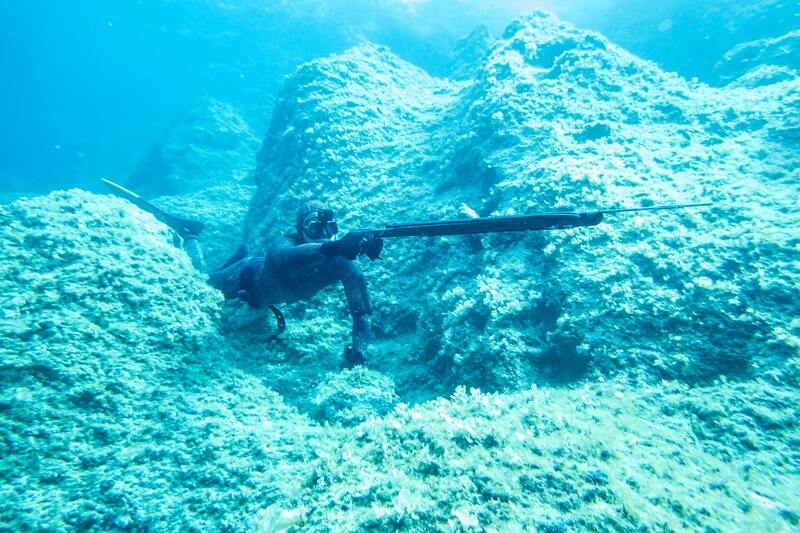 Spearfishing is my favorite form of exercise. I can’t stand treadmills and I couldn’t tell you the last time I was in the gym. But you wouldn’t notice from looking at me. 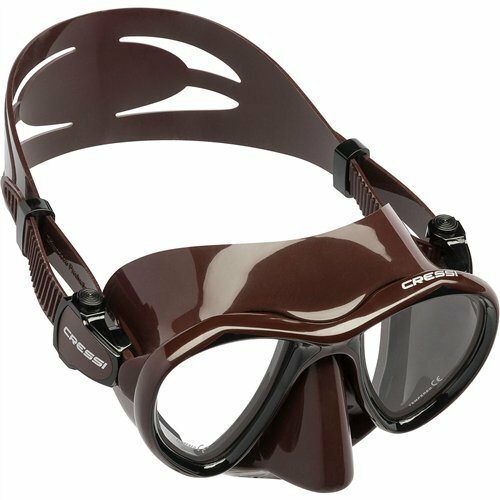 The amount of swimming I do keeps me lean and in shape, much better than many of friends my age. Without naming names, I’ve had more than my fair share of bad experiences with other fishermen. People who don’t respect the ocean. Who dump trash because they’re offshore and simply don’t care. Who pillage and take everything, using bad fishing practices that are destroying the environment we all love. 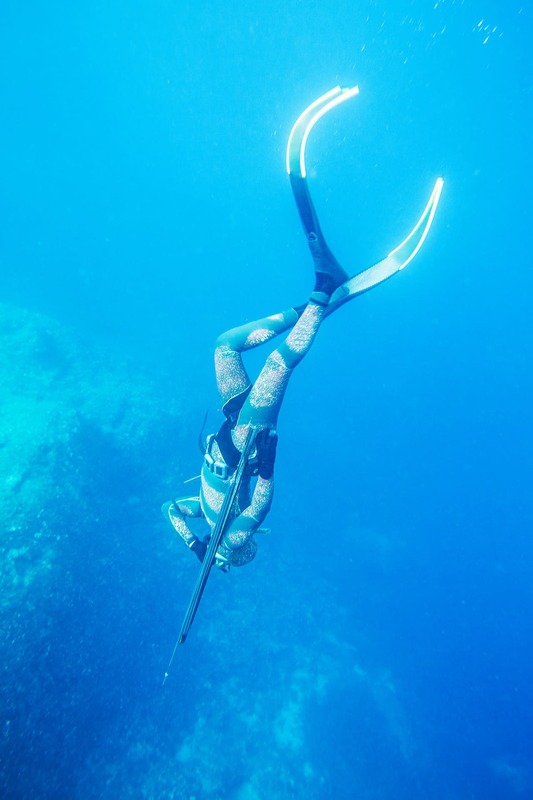 Spearfishing creates the opposite feeling. You see firsthand the impact of people on the ocean, from dwindling fish stocks to piles of trash, and it strengthens your resolve. To be more sustainable in your life, to follow the laws and regulations on fishing, and increases your love for the ocean. 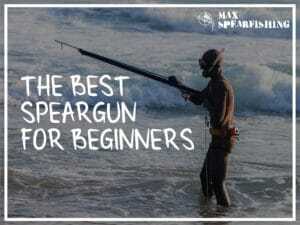 When I compare spearfishing vs line fishing there’s no doubt in my mind which is better for the world. 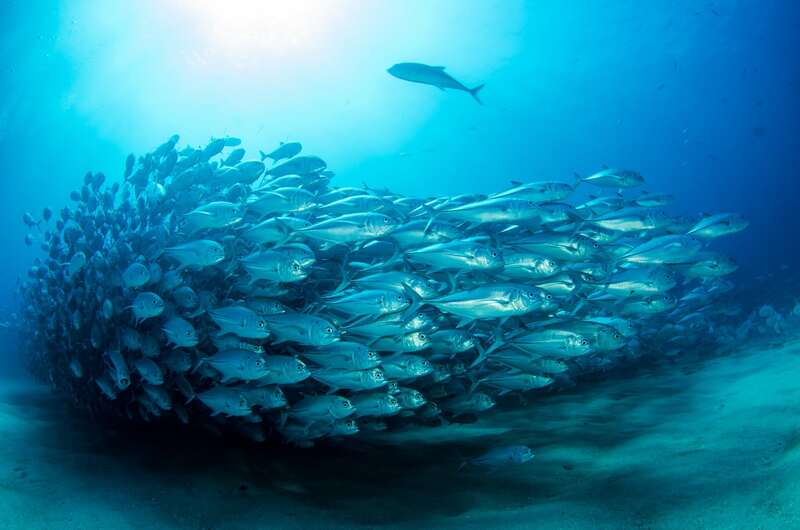 Not only does it allow you to be more selective in your catch, it’s almost a meditative form of exercise that boosts your love for the oceans we all love.